Technology Infrastructure Co., Ltd (Ti) is located in Bangkok, Thailand. Ti was established to focus on serving business need for IT network and security system. Ti makes up powerful teams that are capable every function required for network and security such as consulting, design, installation, penetration testing, maintenance, and training. The main objective is emphasized to deliver the best quality of products and best service for customer satisfied. We are providing customers with the technical specialist who can work closely with all technical concern in the field to ensure that the quality of products is successfully obtained by customers. Our engineers must pass inside or outside Thailand training before support customers such as net screen training, Cisco Internet trouble shooting, CCIE prepare Lab and we have CISSP (Certified Information system security professional) engineer. The elite partner has access to specialized Juniper technology and solution information highlighting best-practices for planning, designing, and implementing world-class products, services, and solutions for high-performance networks. This specialization expands technical competency in the integration of basic routing and switching, wireless LAN, and security technologies. 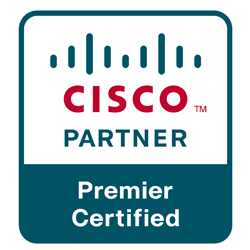 Cisco Premier Certified Partners have also integrated a basic level of Cisco Lifecycle Services into their offerings and demonstrate a high level of customer satisfaction. Check Point bronze partner is professional security resellers that specialize providing end user with the best security solution. In Thailand, many people detection virus with Kaspersky. And Ti has the best professional support for Kaspersky Anti-virus. Trust me, call me support you.